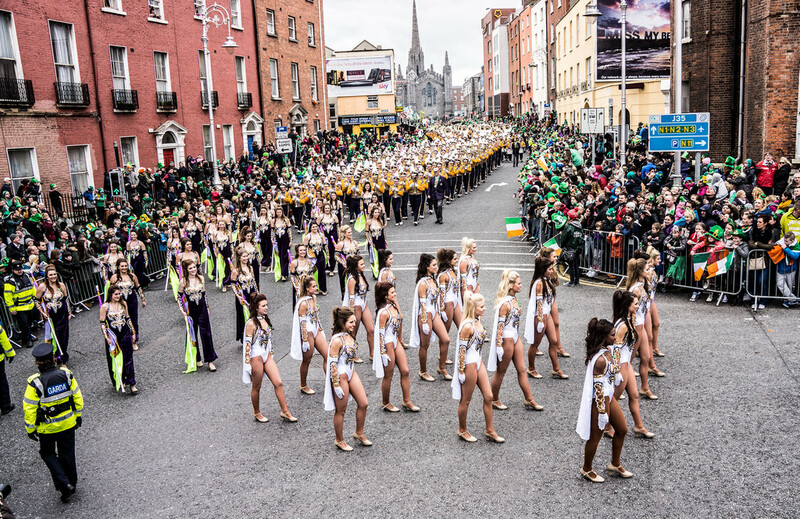 Of course, the grandaddy of all St. Patrick's Day parades is Dublin, Ireland's Saint Patrick's Festival parade. Dublin’s St. Patrick’s Day parade dates back to ) . For a complete history of the parade, click here. Beyond, the parade, the festival takes place over a 3 day period, March 16th to 19th. View a larger printable PDF version PDf the Dublin St. Patrick's Day Parade Route Map here. Bands from Ireland will be joined by music ensembles from around the world. Bands from Ireland will be joined by music ensembles from around the world, including France, Germany, the Bahamas, Switzerland and the USA, delivering uplifting rhythms. The procession winds through the heart of Dublin City bursting with colourful pageants, whimsical theatrics and lively musical scores. Grandstand tickets on sale now! Mass transit is a great way to get in and out to see the parade. You can plan your train, tram, bus, coach or taxi journey with www.transportforireland.ie. You can check routes, times and fares, get real time information and download the app. Pay for all your travel with an electronic purse from Leap Card or buy a multi-day ticket from any of the main transport operators: Luas ticket machines and retail outlets, Irish Rail ticket machines and booking offices and Dublin Bus Head Office, 59 Upper O’Connell Street online or retail outlets. In 2017, you can purchase a Freedom Ticket, a 3 day ticket, for only €33 valid on the Airlink and all Dublin bus services! If you want more information, such as to participate in the parade or become a sponsor, see the parade's official website here.